The Gwendoline Thornblade Scholarship is awarded biennially in even years to a violin or viola player for Suzuki teacher training. Born in London, UK, Gwendoline Thornblade was educated at St. Paul’s Girls’ School, whose strong musical tradition greatly influenced her life. She graduated in 1965 with a B.Sc.D. from London University’s Royal Dental Hospital, and in 1967 received the M.Sc.D. in Pedodontics (Pediatric Dentistry) from Boston University. A lifelong devotion to chamber music and orchestral performance culminated in a change in career to teaching violin and viola using the Suzuki Method. She began this second career as an involved mother and pursued her training with recognized Suzuki Teacher Trainers throughout the U.S. During her training, she attended 6 weeks of Teacher Training directly with Dr. Shinichi Suzuki at various workshops and in Japan. Her teaching experience includes 12 years of Suzuki Method in the Newton Public Schools, 8 years at the All Newton Music School, and 10 years at the New England Conservatory, including chamber music coaching. 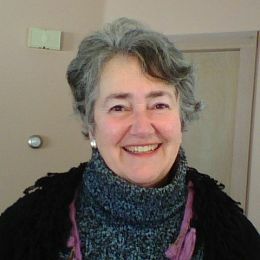 She has taught at many summer Suzuki Institutes in the USA and Canada, and has presented at international workshops. A founding member of the Suzuki Music Schools of Massachusetts (now Suzuki:MA), she has organized annual Suzuki Festivals and many workshops, bringing renowned teachers to Massachusetts. In 1986 she founded the Suzuki School of Newton for young children and teachers. With the success of the school, she has taken the students on exchanges with other programs to Miami, Cape Cod, Martha’s Vineyard, Disney World, and Montreal. A strong believer in the far reaching benefits of music performance in the community, she has arranged children’s performances in retirement homes and community events including a performance of the Bach Double Violin Concerto by Suzuki School of Newton students with the New Philharmonic Orchestra of Newton. She is a former member of the Heritage Players (performing in nursing homes), 15 years with the Boston Philharmonic Orchestra, 8 years with the Longwood Symphony Orchestra, currently with the Waltham Symphony Orchestra, and has guest toured with the Santa Monica Chamber and Concord orchestras in Central Europe. Active in various chamber groups, for several years she arranged monthly Bach cantata sings in her home, with orchestra, chorus and soloists. No longer associated with the Suzuki School of Newton, she has worked for 3 years with Project Step, introducing the Suzuki teaching to inner city students. She continues to teach from her home studio, while pursuing further education at chamber music workshops. She was on the board of Overseers for the Boston Chamber Music Society, and is currently on the board of the Association of Chamber Music Players, Inc. Chamber Music network. She has served on the board of the Suzuki Association of the Americas, and as an advisor to The Heart of Chamber Music Institute and the board of Boston Classical Orchestra. When I resigned from the Suzuki School of Newton, my friends indicated that they would like to continue to support the work I was doing. Since SAA has always been an organization I feel close and indebted to, this was the obvious solution. Aware of the book “Suzuki Changed My Life” my late husband, Jim, liked to say “Suzuki changed My Wife”. A new student presented at my studio, after having observed her friend for several lessons. She had difficulty walking and I realized that she had a medical condition such that standing was nigh on impossible. I suggested that we could both sit down for her lessons, just like the BSO players do, but she was adamant that she wanted to stand just like her friend did. The next lesson, as she arrived I heard something being dragged across my porch. Opening the door, there she was with a huge TV box. She placed it in front of me, proceeded to climb in and braced her feet against the side of the box. “There”, she said, “now I can stand like everyone else!” We should all be so motivated!